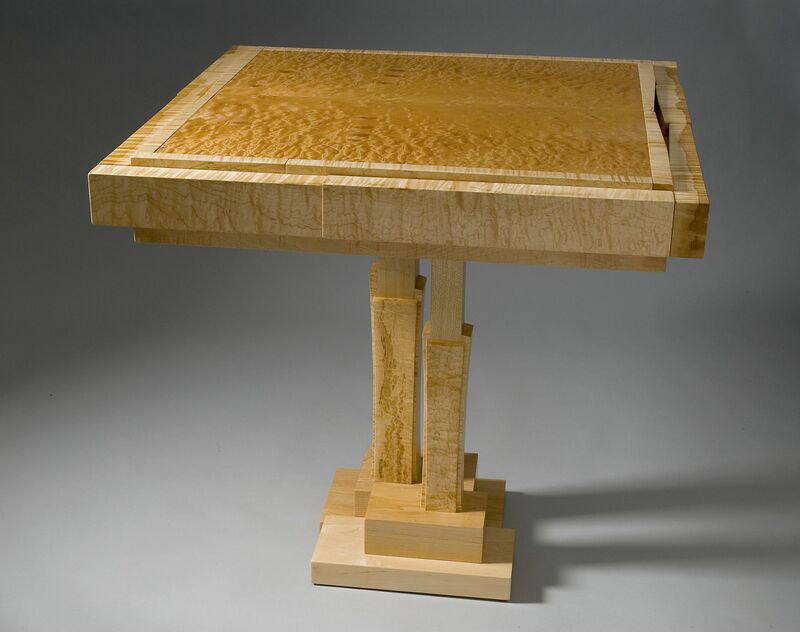 This is a eastern curly maple with quilted maple veneer game table with a flip top. Option for games and chess play. Designed for a customer in Atlanta, Georgia.